Among the many biblical definitions we could provide, the church can be defined as an agent of God’s unique and unrepeatable work in Jesus Christ for launching God’s kingdom into reality. Simply put, that means that the church is the community of people through whom God has chosen to make the Reign of God present in the world. Ministry, as such - and Youth Ministry in particular - is actually a theological task. It’s not just about sociology and figuring out what’s going on in ‘youth culture.’ It’s not just about psychology and trying to understand what’s going on in the brains of teenagers. If we really believe that ministry is the work of the church as we defined it above, then Youth Ministry is about discovering who God is, what God is up to, so that we can understand how we can serve God in the varying contexts of Youth Ministry. We have to turn to Scripture (and to all the sources which God has used to reveal God's self) to discover what God is like, what God loves, and how God works in human experience. We have to carefully interrogate the situations in which we find ourselves and the people to whom we are ministering. With prayer and discipline, we have to discern what God’s action would be to the situations we face according to what God has already done in Jesus Christ. We have to take our cues from God in determining what our reaction must be to those situations. Youth Ministry is the product of careful interrogation of the contemporary adolescent situation and disciplined theological discernment of God’s action in light of God’s revelation in Jesus Christ, in response to the context to which we turn. The fact that we have not always operated this way is evidenced in some of the ways our ministries have taken shape over the years. Sometimes, instead of carefully thinking through the situations of our students, we have haphazardly reacted to our own assumptions. Perhaps more unfortunately, we trade disciplined theological reflection for models and strategies passed down from conference seminars and practitioner manuals (not that those can’t be helpful). It might come from laziness or from lack of creativity, but I’m sure that if we’re honest with ourselves, we might be able to think of a few times in our history that our ministry did not look a lot like Jesus. We can probably think of some times when we just adopted a model that sounded good or sounded easy without thinking through our context and without applying any real theological reflection to its implementation. And perhaps it even worked. Perhaps it was ‘effective’ in doing what we wanted it to do. But whether it’s effective or not, the only way to tell if a ministry strategy is a good strategy is if it truly reflects God in how it works and how it is perceived. The only Youth Ministry which can respond in the way of Christ to the challenges of contemporary adolescence is a ministry that is shaped thoroughly and theologically by the person and work of Jesus Christ. Now, I’ve worked in Youth Ministry just long enough to know that most Youth Workers didn’t sign up to work with teenagers because they wanted to be systematic theologians. Most of us don’t get excited about reading John Calvin, John Wesley, Karl Barth, Paul Tillich or whoever it is you consider to be a theological heavyweight. Many of us struggle just to get ourselves to read Doug Fields or the most recent Mark Oestreicher book. We’re just not in this for theology and doctrine, we’re in this for Christ and the Church, for the teens and families we have come to love. But we are also in this because we love to see people’s lives and hearts transformed by the gospel of Jesus Christ and we love to be a part of what God is doing in the world. And that’s not something we should take lightly. Your ministry, and all Youth Ministry, is meant to be a partnership, not just between networks and staff members, but truly a partnership with God in the work that God has done in Jesus Christ and is doing in the Holy Spirit. That’s not something to take lightly! And the beauty of it is this kind of partnership isn’t foremost your decision. From start to finish, it’s God who has chosen you, God has invited you to be a part of what God is all about. That’s not something we should do haphazardly. That’s something that has to be done with prayer and discipline. We have to have the humility to know that we don’t know it all and that we have a lot to learn about God and the gospel. Does that mean we should become systematic theology scholars? Not necessarily. And it definitely doesn’t ever mean that we should lose sight of just why it is we signed up for this youth ministry stuff in the first place. But it does mean that we should take Youth Ministry seriously as a theological endeavor and that we should subject ourselves to the hard process of disciplined theological reflection. 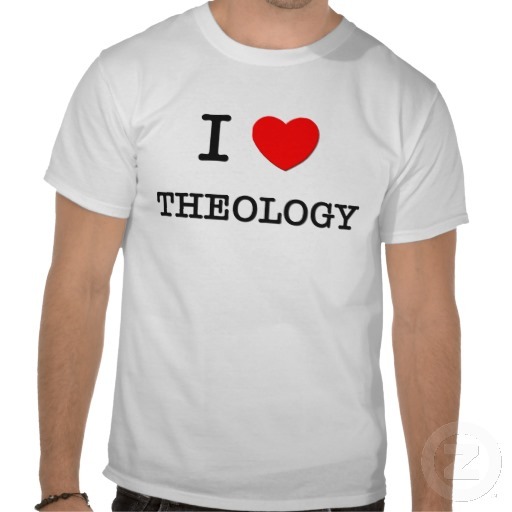 So that’s my encouragement to you: be a theologian. Don’t just pick up the latest and greatest ministry model, think it through. Pray hard. Ask the difficult questions about God, about adolescents, and act according to what is revealed to you through the Spirit so that your ministry will truly be God’s ministry. Recommended Reading: If you’re not sure where to start, Andrew Root has some really good resources including a new series called Taking Theology to Youth Ministry, and a book he wrote with Kenda Creasy Dean called The Theological Turn in Youth Ministry. I would also recommend Amy E. Jacober’s The Adolescent Journey.